Our used equipment inventory turns over quickly, so please bookmark this page and check back often! Welcome! Thank you for visiting our used equipment section. We offer great prices on reconditioned scooters, electric wheelchairs and lifts. The used equipment we take in on trade or consignment is examined thoroughly by our repair staff. Batteries are tested and replaced if need be, and all aspects of the electronics are inspected to assure they are in good working order before the item is offered for sale to the public. Don't Qualify for Insurance Coverage? In today's economy, every dime counts!! 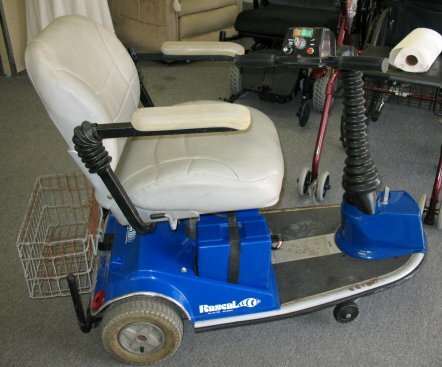 If your insurance won't cover your mobility equipment , we offer a low cost alternative to keep you mobile!!! 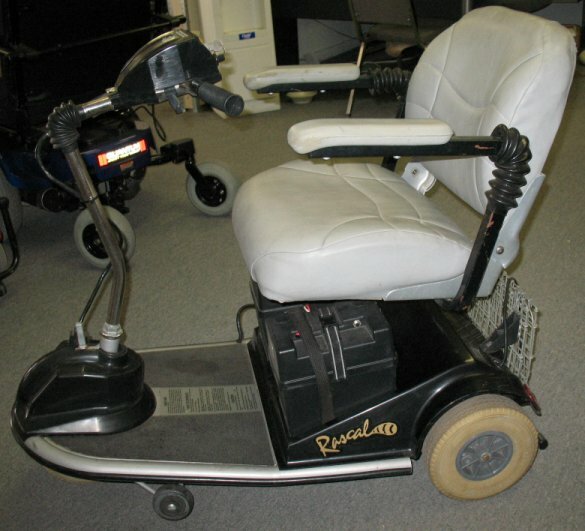 Our Technicians Refuses to let any redeemable scooter or power chair die, because we know someone can use them!!!! We calls these units Zombies!! Most insurance companies have made their coverage rules so strict, many people who need mobility equipment do not qualify for coverage under their policies and are forced to purchase the equipment themselves!!! We have the answer! In today's economy, many are cutting costs any where they can, even on essential items such as mobility equipment. American Wheelchairs is a full service shop with technicians that have had 15 + years experience repairing most every kind of scooter and power chair. Most people trade these units in for new ones because of normal wear and tear or because of minor repairs needed. All of the used equipment we sell has been thoroughly examined. Brakes, motors, motor brushes, chargers and electronics. We install new batteries in each unit and offer a 60 day warranty on all units. What type of warranty does the used equipment carry? Most of our used equipment comes with a 6-month 100% warranty on parts and labor. Some of the models that are used for demonstrations and have never been previously owned come with a full 1-year warranty. *Is shipping included in the prices? On most items, shipping is free within the continental U.S.
How are the units shipped? All scooters and power wheelchairs are shipped completely assembled in one large box or strapped to a pallet right to your door. Shipping usually takes 7 to 10 business days. Do the units come with everything I need to operate them? Yes. all scooters and power wheelchairs come complete with batteries and chargers. Lifts come with all needed components except the class 2 or class 3 hitch needed on your vehicle. Most hitches can be installed by your local U-Haul dealer. Gently used Pride Sundancer 3 wheel scooter. 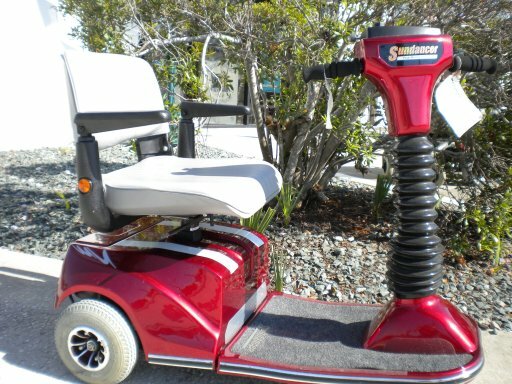 INCLUDES ELECTRIC SEAT LIFT!! This unit was well taken care of and runs well. The electric elevating seat raises the seat level at the touch of the lever to 6 inches higher than normal. Ideal to reach kitchen counter height for cooking meals, or to reach higher shelves in grocery store, etc. New 3 wheel scooter floor model . Gently used Pride Sonic 3 wheel scooter. This unit was well taken care of and runs well. The Legend 3 wheel scooter is a mid sized scooter designed for indoor and outdoor terrain. 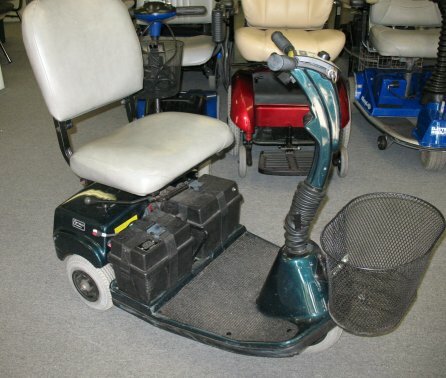 This is a used unit that comes standard with a high back, swivel seat, angle adjustable armrests, new batteries, front head light and front basket. The Legend will disassemble for transport, with the heaviest piece weighing only 57 lbs. The Legend has a weight capacity is 350 lb. The Legend 4 wheel scooter is a mid sized scooter designed for indoor and outdoor terrain. 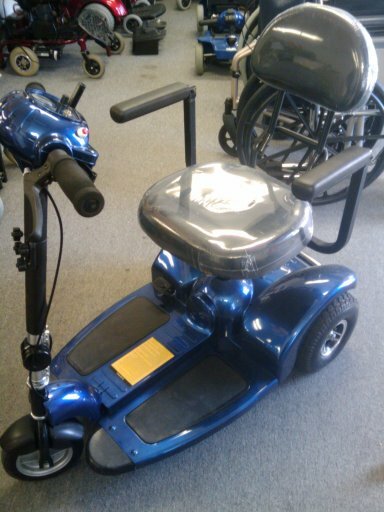 This is a used unit that comes standard with a high back, swivel seat, angle adjustable armrests, new batteries, full light kit including head light, tail light and turn signals and front basket. The Legend will disassemble for transport, with the heaviest piece weighing only 57 lbs. The Legend has a weight capacity is 350 lb. 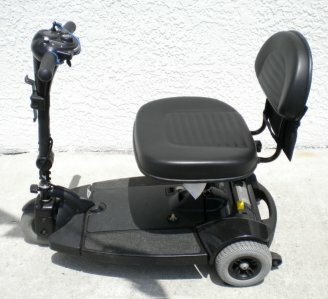 The Optiway 3 wheel scooter is a mid sized 3 wheel scooter designed for indoor and outdoor use on level surfaces. 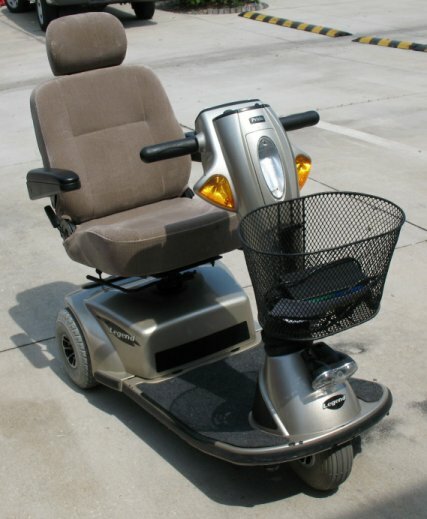 This is a used unit that comes standard with a low back swivel seat. new batteries and front basket. The Optiway has a weight capacity is 250 lb. The Rascal3 wheel scooter is a mid sized 3 wheel scooter designed for indoor and outdoor use. This is a used unit that comes standard with a low back swivel seat. new batteries and charger. The Rascal has a weight capacity is 300 lb. Pioneer 4 wheel scooter. This is a used model with a few scrapes on the shroud. The Pioneer 4 has a high back captain seat, flip up adjustable arm rests, full light kit (including turn signals), front and rear bumpers. Batteries, basket and charger included. This scooter has a 350 lb. weight capacity. Free Shipping within Cont. U.S. The Pronto M51 by Invacare boasts true mid-wheel drive technology for exceptional maneuvering in small spaces. 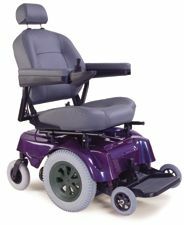 The low seat to floor height offers optimum stability and comfort. The sure step technology with "six wheels on the ground" provides a smooth transition over thresholds up to 2 inches, while maintaining stability. The powerful 350 watt motors provide reliable performance for up to a 300 lb. weight capacity. This unit is an excellent choice for maneuverability in the home and over light grass and gravel outdoors. Upgraded seating offers a semi-recline feature to relive back pressure and flip-up width adjustable armrests. The Jazzy Jet 3 Ultra delivers superb close-quarter maneuverability, sleek styling and high-performance technology all at a great value. 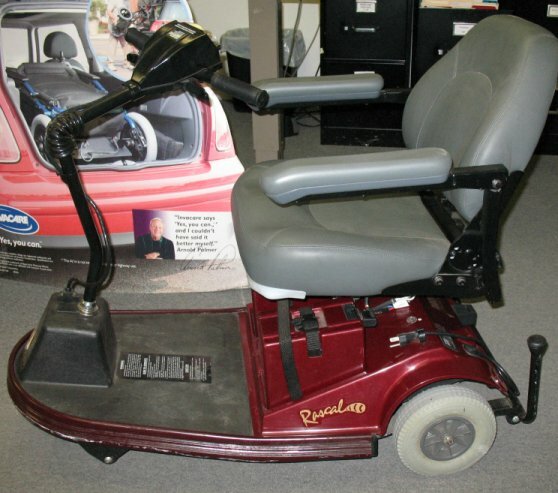 This upgraded model has all the great features of the larger Jazzy's, such as Active-Trac suspension, new easy access battery design, trapeze bar seat mount for quick adjustability and easy interchange of a broad range of seats and increased weight capacity of 300 lbs.. In addition, the Jet 3 Ultra offers an on-board battery charger. 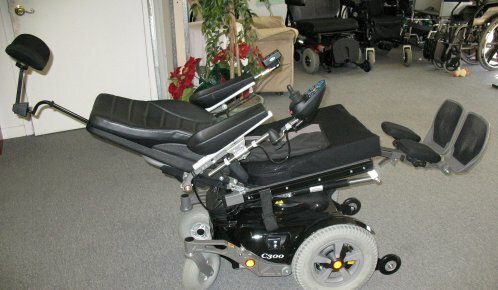 The Permobil Chairman 2K offers the best in positioning and maneuvering. The Corpus II seating system allows the user to reach many positions. The chair back reclines electrically, the seat raises and lowers electrically and has an electric tilt in space system. The footrests are also electric. The Chairman 2K is Permobils most versatile full-size adult wheelchair system, combining the C2K power bases responsive front wheel drive and four-wheel independent suspension for great performance indoors and out.